A full 100,000 pages, published between 1892 and 1940, are to be stored and provided as searchable content on digital platforms. 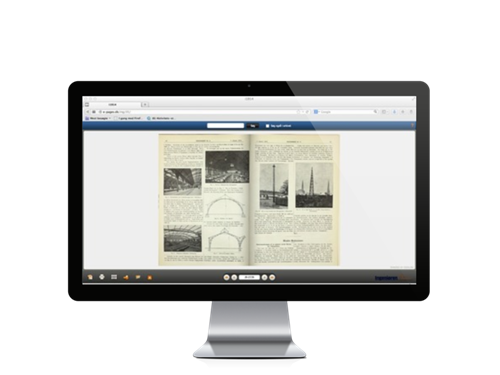 The Ingeniøren media house has received a grant of DKK 580,000, which has allowed it to get started on the digitalisation of 100,000 historical pages from four journals spanning the period 1892 to 1940. 'Digitalisation of an engineering heritage', as the project is called, is the brainchild of former editor and current back page editor at Ingeniøren, Erik Lyngsø-Petersen. "Together with the DKK 150,000 previously donated by the Danish Society of Engineers (IDA)'s Knowledge Dissemination Fund), we can now cover the full costs of carrying out the first phase of the project." Alongside Ingeniøren, digitalisation will now be provided for three further publications: Tidskrift for Ingeniør- & Bygningsvæsen, Polyteknikeren/Polyteknisk Tidsskrift and Tidsskrift for Elektro- og Maskinteknik. The Ingeniøren archives comprise two copies of every volume. Of these, one set will be scanned in. The purpose of the project is to allow any interested party to peruse or search for terms and phrases in past years' volumes, which together represent a detailed record of Denmark's metamorphosis from a wholly agricultural to an increasingly industrialised society. The Danish Society of Engineers has contributed DKK 430,000 to the project, with a further DKK 150,000 coming from the society's Knowledge Dissemination Fund. IDA's chair Frida Frost justifies the subsidy by saying, ”We must look after what is in effect a valuable chronicle of our long history. This is a time of new departures in media channels and especially in digital media. Both myself and the Danish Society of Engineers believe that it is important to support digitalisation of our earliest article database. I'm looking forward to the completion of Phase 1, so that the current readership of Ingeniøren, IDA members and anyone else interested in the technology can benefit. I am convinced that there will be great interest." The Ingeniøren media house still needs funds to digitalise the later editions, from 1940 onwards. Fundraising is planned so that the remaining 200,000 pages can also be archived. The digitalisation is being carried out in collaboration with Visiolink.